Facilities Development is a team of engineering and construction professionals, experts, and specialists, supporting the York University community in the management of design and construction of facilities and infrastructure.This team provides overall Project Management services for the Capital Development Program at York University including the management of scope, cost, quality, risk, associated human resources requirements, communications, procurement and project integration. In addition, safeguarding the integrity of university facilities is partially done by this department by ensuring all Codes, Permits and Good Practices are followed. Records documentation implementation are kept and life safety systems appropriate to the needs are tested to ensure trouble free operation. Contractor or Constructor? 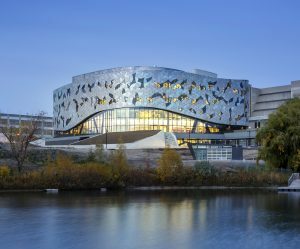 Visit our External Contractor/Constructor page for information on doing business with York University. Click the links below to view our completed and current projects. Contractors/Constructors - Laing O'Rourke / Gillam Group Inc.
YUDC is the University's development partner, providing real property advisory, development and management expertise. Visit the YUDC website to learn more.